Fresh off the 7-0 thumping of Maribor midweek, Liverpool return to Wembley on Sunday in search of three points against a very good Spurs side. It will certainly be no easy task, but with only 1 win in 5 in the league, a win is now a necessity to make sure Liverpool keep pace with the top four. With both sides playing high-energy, attacking football, it promises to be a very entertaining affair, while Klopp will be looking to end his Wembley hoodoo while ensuring that his impeccable record against Mauricio Pochettino remains in tact. Liverpool’s last encounter with Tottenham was a thrilling 2-o victory at Anfield back in February, with masterful performances from Gini Wijnaldum and Sadio Mane helping the Reds to three crucial points that helped get them back on track after a dismal January. We were electric from the get-go back in February — Mane managed to run onto Wijnaldum’s defence-splitting pass to slot the ball past Lloris at about the 16 minute mark, while he doubled the lead merely 2 minutes later with a powerful shot that rifled into the back of the net. Mignolet made a few solid saves but he was rarely troubled by the Spurs attack — surprising considering the then second-placed side were on a 15 match streak in which they’d only lost a single game. In spite of the tension before kick-off, the game was unexpectedly rather straight-forward and Liverpool will be lucky if Sunday is anywhere near as simple. Arguably the most balanced side in the league, Spurs have had a reasonable start to the campaign, picking up 17 points out of a possible 24. All the talk of Spurs suffering as a result of playing at Wembley this season seemed justified early on as they lost to Chelsea and let in a shock late equaliser to Burnley, although after a win against Bournemouth last Saturday, they’ll be hoping the Wembley curse is finally behind them. Tottenham don’t seem to blow teams away in the same manner like they did at White Hart Lane but still manage to pick up the required points, which is the sign of a very impressive side. The Champions League is where Tottenham have truly shined this season, which was highlighted by their 1-1 draw at the Bernabeu on Tuesday in a game they could have won, which shows just how far they’ve come since Pochettino’s arrival. 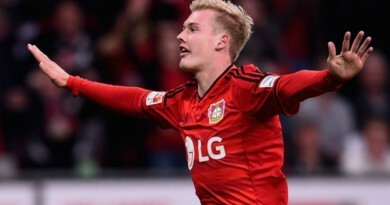 They eased past Dortmund at home, while a Harry Kane hat-trick secured an easy victory in Nicosia. With Madrid still to visit Wembley, Tottenham have a chance to top a Champions League group with Dortmund, Apoel and the current Champions League holders, which would be no small feat. With Lloris in goal, Alderweireld in defence, Alli and Eriksen in midfield to Kane up front, Spurs have quality all over the pitch and will certainly prove a difficult side if Liverpool want to come away from London with three points. The story of Harry Kane is a sensational one — to go from being loaned out in League One to becoming one of the best goal scorers in Europe is incredible and you can almost guarantee that if Kane is given a chance against our defence, he will take it. Joel Matip and Dejan Lovren will come into the game full of confidence after keeping consecutive clean sheets but Harry Kane will certainly prove to be a much more difficult task than Maribor and a Manchester United side that provided no attacking threat. 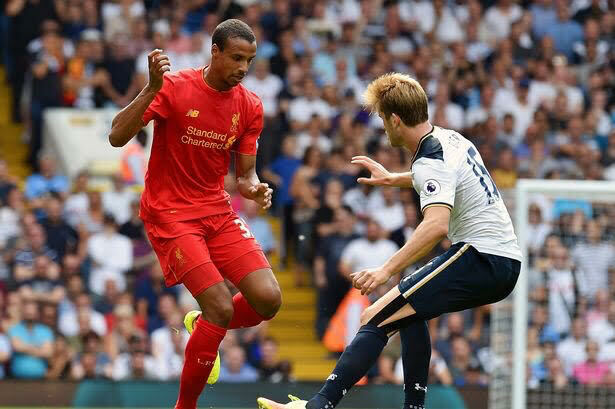 Alongside Lucas, Matip managed to produce a solid defensive performance to nullify Kane last time the Englishman faced the Reds but with Kane only requiring one opportunity to score, concentration from Matip and Lovren will be vital. Tottenham are light in midfield for the big clash, with Victor Wanyama and Moussa Dembele missing the game thanks to knee and ankle problems respectively. Erik Lamela remains side-lined for the long term; Ben Davies has recovered from illness to be ready to feature on Sunday but with Danny Rose back to full fitness after a long injury layoff, the Welshman may have to settle for a place on the bench. Adam Lallana, Nathaniel Clyne and Sadio Mane remain long-term absentees, although Klopp luckily has no other fresh injury concerns. In spite of thrashing Maribor 7-0 during the week, the manager is likely to make a few changes, with the skipper Jordan Henderson set to return, probably in the place of James Milner, which is perhaps slightly unfair after the midfielder’s fantastic display in Slovenia. Simon Mignolet is almost certain to return in goal at Wembley, while Joe Gomez is a probable inclusion at right-back, even though young Trent Alexander-Arnold both scored and kept a clean sheet midweek.